Lifestyle tastemaker, Ayesha Curry is the author of the New York Times Bestselling cookbook, The Seasoned Life and hosts her own show on the Food Network, Ayesha’s Home Kitchen. Passionate about food, family, and giving back, brand positioning and thoughtful messaging forged a content strategy that continually delivers the brand promise. 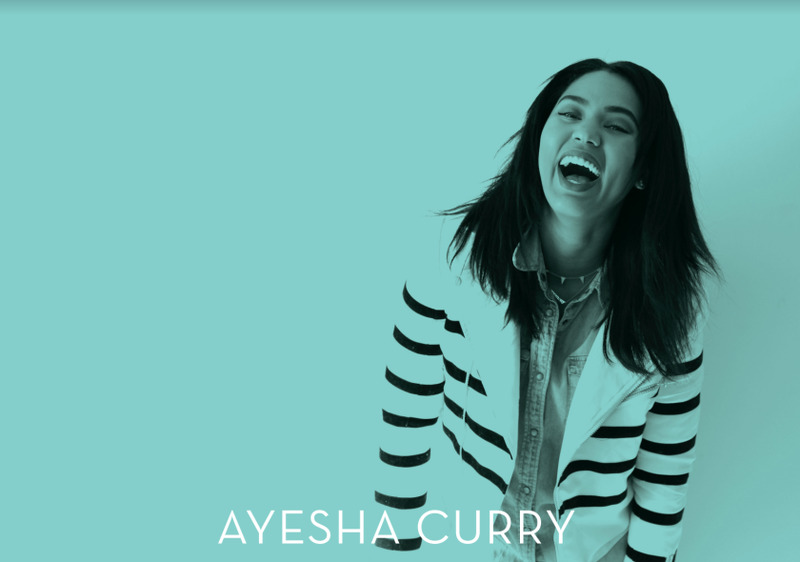 With the launch of a kitchen line, a cookbook, a TV show, and a meal-service delivery kit, and more on the horizon, Ayesha Curry’s brand guide ensures all products ladder up to the master brand promise of Pure and Premi-yum products, without the fuss. Homemade is family-inspired meals by Ayesha Curry—a meal kit delivery service with the whole family in mind. Custom-copy for the website tells the story of gathering families back around the dinner table to share a meal, and more importantly, time together.